Oh Elizabeth, what patience you have ! I could never work on anything so small and busy, that would drive me crazy. 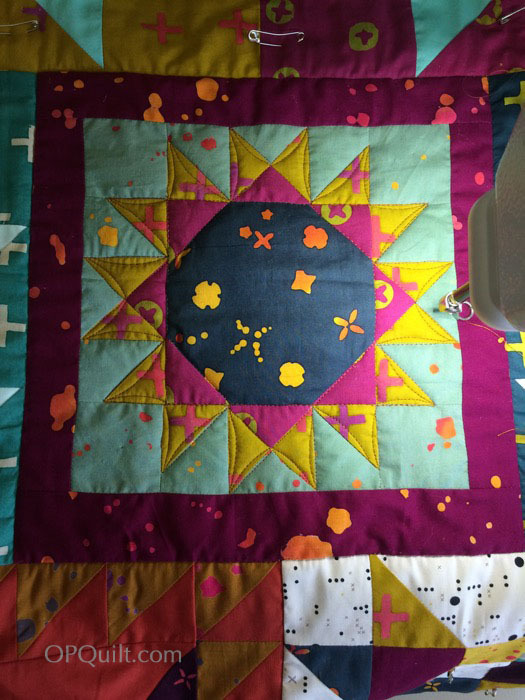 I like to finish all my quilts within a month, that way it is an inspirational act for me and I don’t become bored with them. 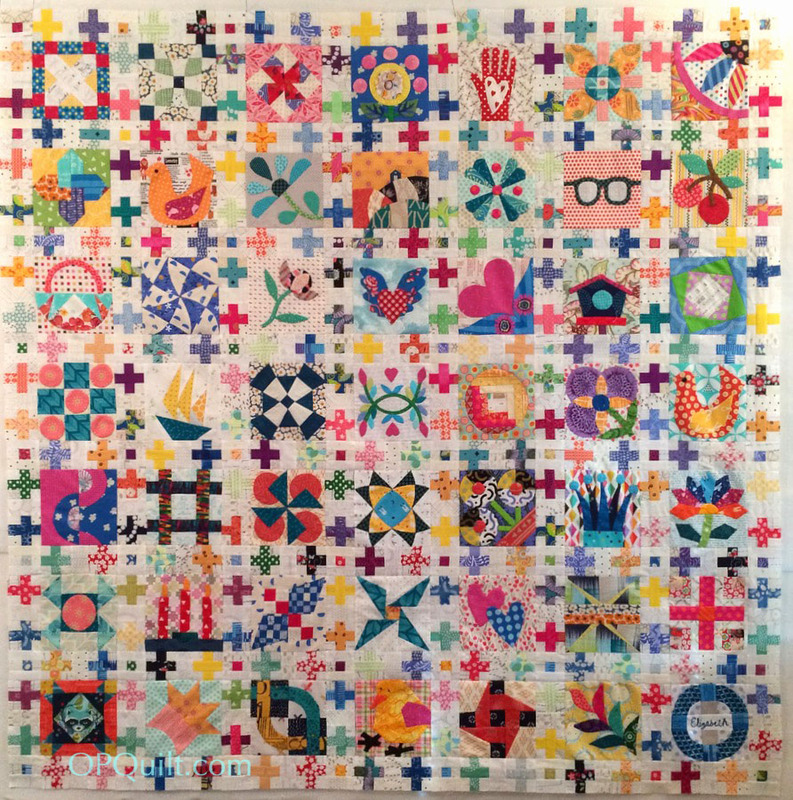 I would never attempt the Chuck Nohara quilt blocks–what a treasure you will have when it is complete. And yay for working on the traveling quilt. Hope your trunk show and class go well–I wish I could attend both of them! Chuck is looking more beautiful at every step. I’m sure your border will do justice to all the hard work you have put into it so far. I’m wondering whether your cross blocks aren’t 3 and a quarter inch square as you only have two bordering each Chuck block? I wish I could be at your trunk show, or your class in June! I’m still waiting for my lottery numbers to come up!! love your Chuck Nohara. 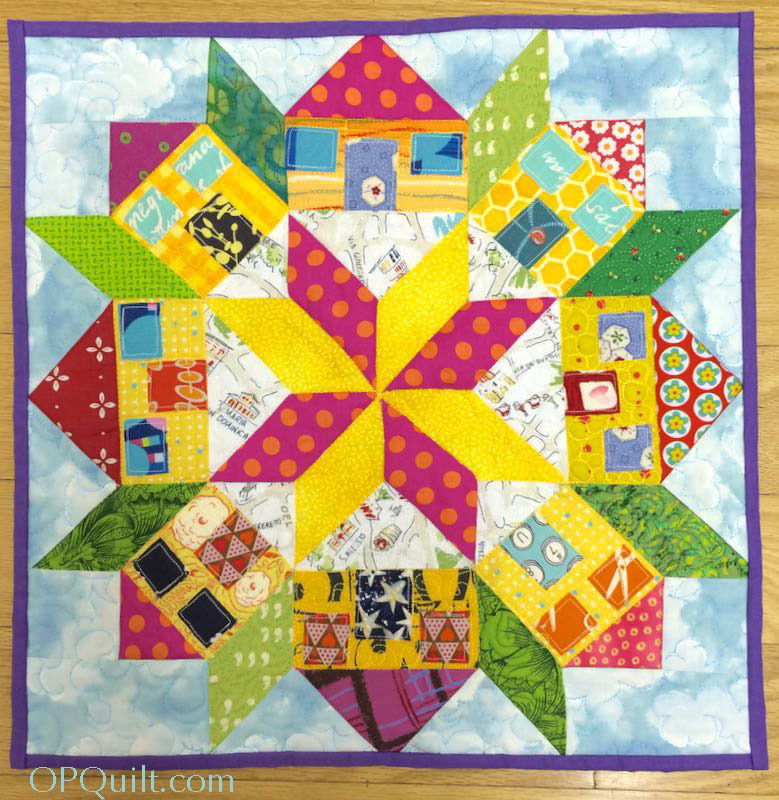 And all the little plus signs…such a positive quilt! Wish I were close enough to see the trunk show and attend your class. At the moment, I feel like I am drowning in projects 😱. So what did I do??? Started a new one!! It must feel good to be back on the Sweet Sixteen even for small bits. And Latifah Saafir is coming to PMQG in June. We’ll have to compare notes. 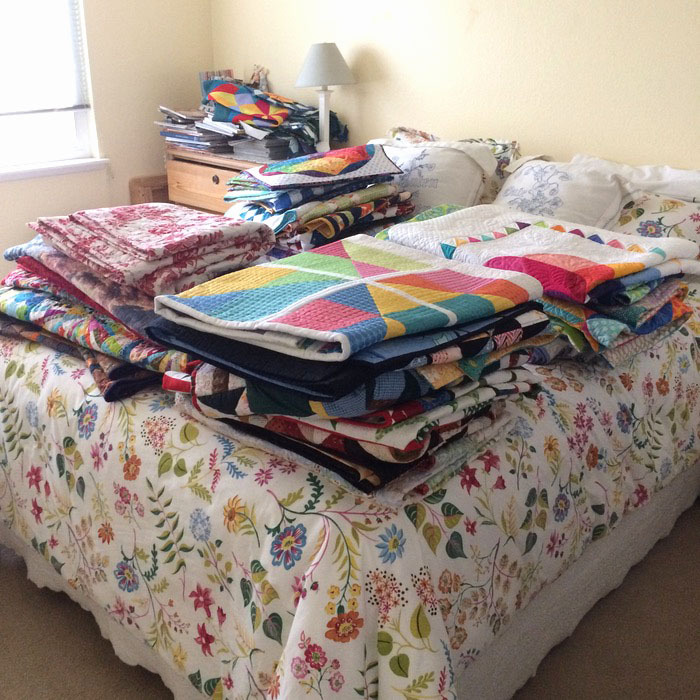 Must be fun pulling 25 quilts–enjoy doing the trunk show. Thank you for the extra info on your absolutely gorgeous quilt. 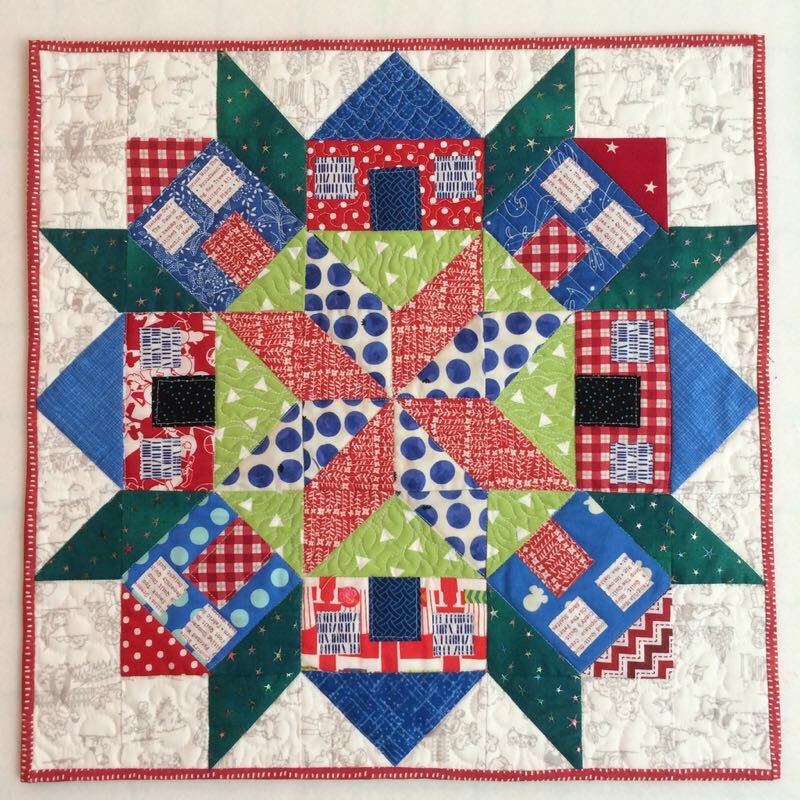 I remember when you were almost through with your Lollipop Trees quilt and was getting disillusioned with it and you were so very close to finishing it and I felt you were on the brink of giving up on it. As I said before you are almost finished keep going.. Much to my happiness you took my advice and completed it and look what happened – it was published. That was a happy day for me too. 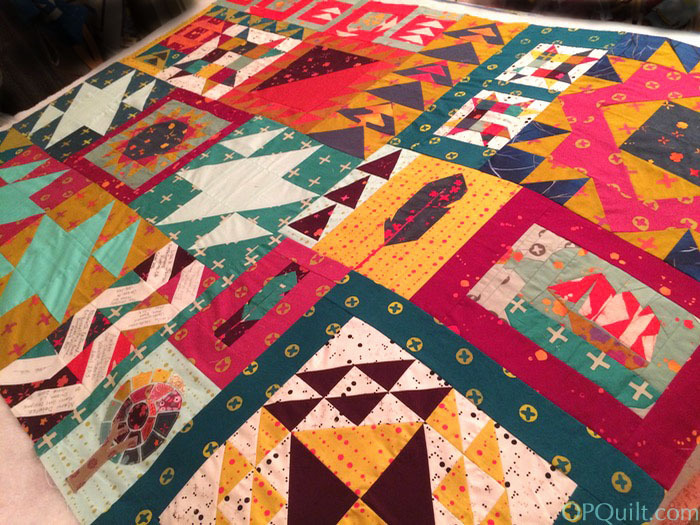 The Chuck Nohara quilt is so beautiful and you should be so proud of your accomplishment in getting it done to this point. Can’t wait to see it completed. As to the original border I’d probably make a different one too. I love seeing all of your quilting endeavors. You are so very talented, artistic, and inspirational I really wish I could attend your class! Instead I must settle for buying your patterns. Very cute bee block and I love your Alison Glass quilt. Fantastic colors. 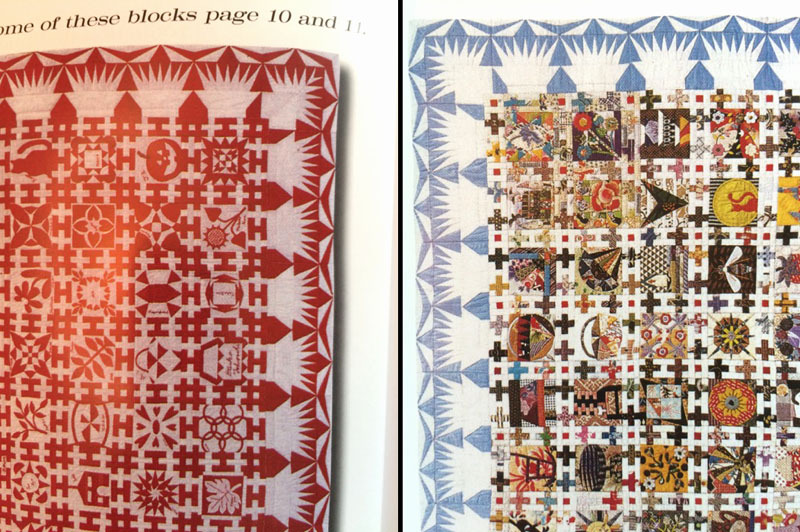 The two mini quilt options you have for home sweet home are both beautiful color ways. Thanks for sharing. That plus sashing is AMAZING!! It really makes the quilt. The colors are so bright and happy:). I can’t wait to see the border you choose! Latifah Saafir is speaking at our August meeting. I really hope I can get the day off to take her Molehills class. If I weren’t working, I’d come take your house class. 😦 Them’s the breaks with a new job and bills to pay. I love that Chuck Nohara piece! Those little pluses make such a difference. Yeah to being back on the quilting machine. I’m sure you two will be good friends again in no time at all. Good luck with the show and class. I KNOW it will be amazing. Will get to your post sooner or later.